The recent challenge in diffusion imaging is to find acquisition schemes and analysis approaches that can represent non-gaussian diffusion profiles in a clinically feasible measurement time. In this work we investigate the effect of b-value and the number of gradient vector directions on Q-ball imaging and the Diffusion Orientation Transform (DOT) in a structured way using computational simulations, hardware crossing-fiber diffusion phantoms, and in-vivo brain scans. We observe that DOT is more robust to noise and independent of the b-value and number of gradients, whereas Q-ball dramatically improves the results for higher b-values and number of gradients and at recovering larger angles of crossing. We also show that Laplace-Beltrami regularization has wide applicability and generally improves the properties of DOT. Knowledge of optimal acquisition schemes for HARDI can improve the utility of diffusion weighted MR imaging in the clinical setting for the diagnosis of white matter diseases and presurgical planning. 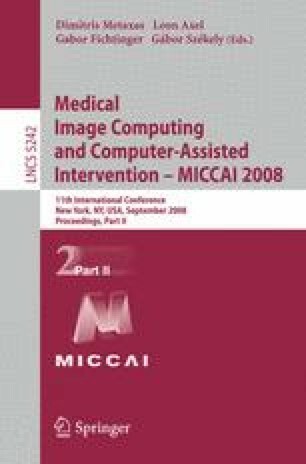 Electronic supplementary material is available for this chapter ( 10.1007/978-3-540-85990-1_2).